Thousands of people visit Peru every year for a chance to hike one of the world’s most famous treks — the ancient Inca Trail to Machu Picchu. In order to plan a great trek and memorable experience, here’s an insider’s guide on what to expect, what to avoid, and how to get started in organizing your trip. 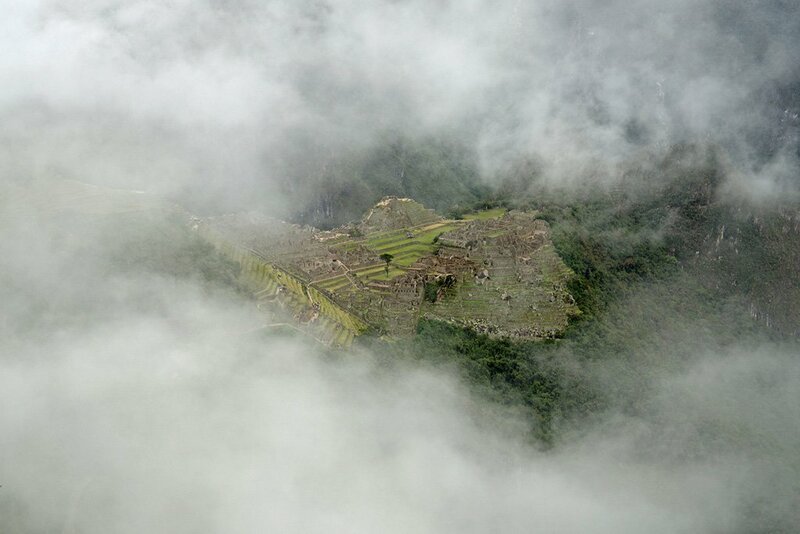 In the 14th and 15th centuries, the Inca carved out a series of trails connecting villages, rich farmland, royal estates, and sacred religious sites. It was the most advanced and extensive transportation network in South America prior to the arrival of Columbus. At the time, Inca trails extended from the Andes in southern Colombia down through Ecuador and Peru to the northern edge of Patagonia, providing vital routes for trade, culture, and imperial influence. Cusco was the heart of the Inca Empire, and the Sacred Valley its spiritual and royal retreat. The ceremonial route taken by the Inca from the Urubamba river valley up to the mountainous citadel of Machu Picchu has become the iconic “Inca Trail” that is commonly referred to today. 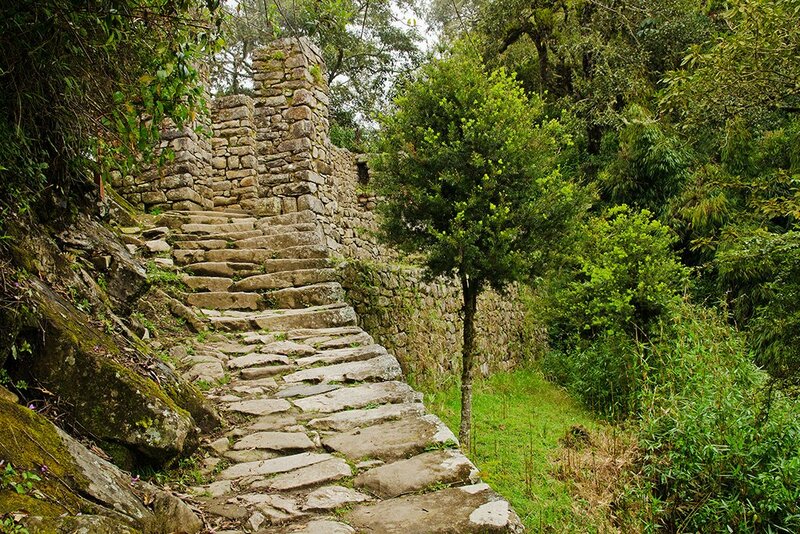 The same stone steps and temples used by the Inca are being used by the Quechua (descendants of the Inca) and travelers alike today. The Inca Trail is commonly completed in four or five days, where on the last day you pass through the sacred Sun Gate to Machu Picchu. Most people combine one of the following itineraries with other great activities around the Sacred Valley, and it’s best to do the Inca Trail at the end of your visit to the Cusco Region so as to allow yourself more time to acclimatize. 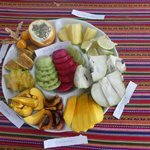 All the itineraries, below, arrive at Machu Picchu in the afternoon or evening, where you then stay overnight in the town of Aguas Calientes and then head back up to Machu Picchu the next day for your main tour of the ruins. View full itinerary. Recently, 200 permits per day are now issued to hike the last day of the Inca Trail. A great option if you’re short on time, where you still get to pass through the famous Sun Gate to enter Machu Picchu. Be sure to leave Cusco or Ollantaytambo early in order to get a good start for the day, and also keep in mind that you’ll need to reach certain check posts before they close throughout the day (make sure you have a reliable guide who ensures you’re on track). This is the most common version of the Inca Trail, which takes you at a steady pace toward Machu Picchu. This is the best version if you're short on time or if you prefer not to have too many nights of camping on the trail. View full itinerary. Compared to the 4-day version, the 5-day Inca Trail itinerary moves at a slower pace and allow more time to enjoy the sights along the way. If you have the time, we highly recommend taking 5 days as it lends itself to a much better overall experience (see the next section). 500 people per day may seem high, but, in reality, the Inca Trail doesn’t actually feel too crowded. Even though there’s one main route that everyone follows, a good guide will ensure you’re spaced out evenly from the other groups. You will, however, often end up at the same campsites each night given the limited number of spots to sleep along the trek. Trekkers are required to book through a local company that is licensed to operate the Inca Trail and who can purchase permits on behalf of trekkers. One of the first things you should decide is whether you want your own, privately guided tour or if you’re open to sharing the trek with a group. Both can be rewarding experiences; it all depends on what you’re looking for and the type of budget you’re on. Should I do 4 days or 5 days? You avoid the 4-day crowds. Most people do the trek in 4 days. By doing it in 5, you’ll be moving at an offset pace from the other groups and can adjust your schedule to arrive at key destinations and campsites before or after the crowds. You get a good night’s sleep. With five days, you can sleep in to 7-8 am and feel more rested throughout the day. With the additional rest, you’ll have more energy to enjoy your trek, appreciate the sites along the way, and explore Machu Picchu at the end of your trek. Better acclimatization. Five days will also give you more time to acclimatize before heading over Dead Woman’s Pass (4215 m. /13,828 ft.) on Day 3. The 4-day version crosses this pass on Day 2, without have much time to acclimatize beforehand. Get the best campsites to yourself. With the added flexibility of an extra day, you’ll have more choice when it comes to campsites. With your group, you can choose the campsites with the best views or ones that are closest to the ruins and adjust your spots in relation to the other groups. Inca Trail prices vary depending on what local company you choose and the level of service you’re looking for, from basic to luxury. For private tours, the price depends on your group size — the larger the group, the lower the per person price. For group tours, you’ll be paying the same price regardless of the group size. Given its popularity, the Inca Trail has become highly commoditized and competitively priced. That being said, it’s best to think twice before going with cheaper options, as you often get what you pay for, meaning lower quality equipment, less experienced guides, and the feeling that you’re being herded through the trek as opposed to being carefully cared for. We highly recommend going with a company that has a proven track record, pays their guides and porters fairly (meaning they’ll have better equipped and more experienced staff), and provides good-quality equipment. Paying a hundred dollars more, for example, to go with a more experienced company pays dividends when it comes to the quality and overall experience of your trek. When comparing quotes, pay close attention to what’s included in the price. 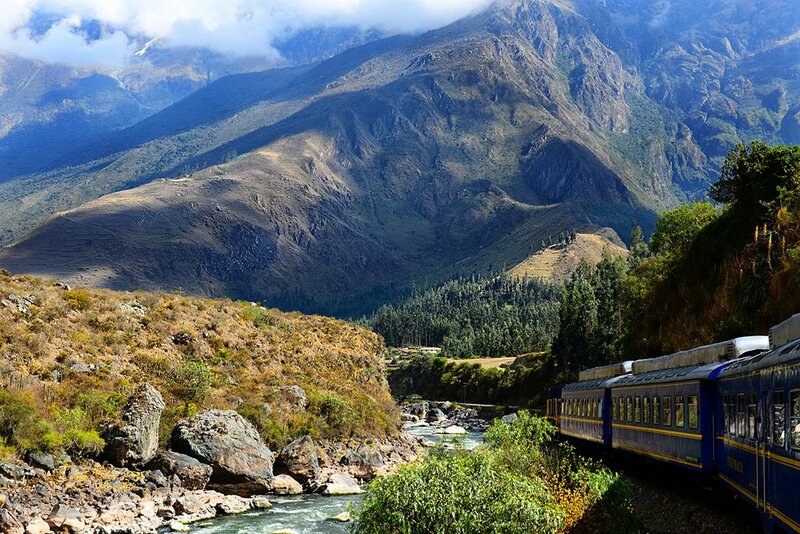 Often, cheaper prices may exclude certain fees and permits, such as the Machu Picchu permit fee ($125 USD), your hotel in Aguas Calientes ($50-100 USD), or your train ticket back to Cusco or Ollantaytambo ($150 USD). These additional fees will make a significant difference in the quote. Quotes will include all the necessary transport, service, and equipment required to complete the trek to Machu Picchu. 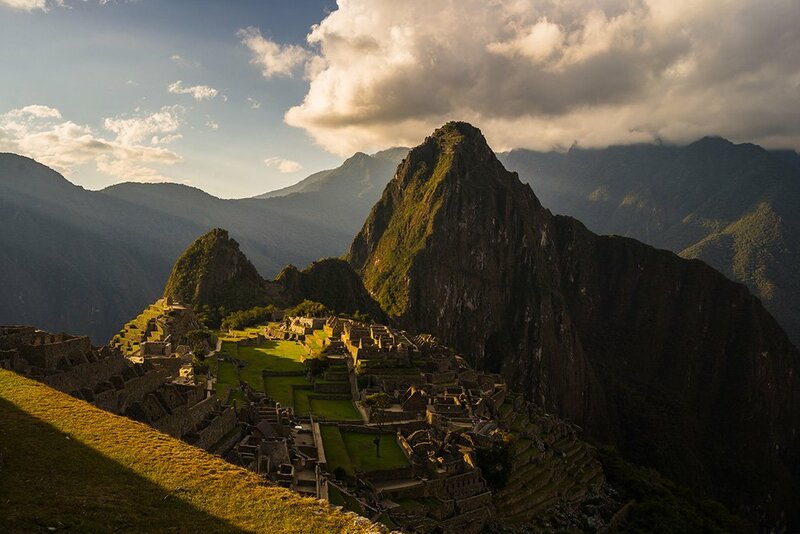 Keep in mind that quotes may exclude any services required after reaching Machu Picchu. *Note that sleeping bags and pillows are usually not included. You’ll either need to bring your own or rent these locally (around $30 per person for the entire trek). The Inca Trail requires a government-issued permit, and only 200 permits are allocated each day for foreigners. The permits are distributed on a “first-come, first-served” basis in order to deter companies from over-purchasing on permits. Permits are released either in December or January each year and often sell out quickly for months ahead. To secure your spot on the Inca Trail, we recommend completing your booking before this time or up to 6 months in advance. For more information, check out our article on securing your Inca Trail Permits. Fortunately, there are a number of other great treks that lead to Machu Picchu in case you find that permits are sold out for your dates. The 3-Day Lares trek, the 5-Day Salkantay trek, and 7-Day Choquequirao trek all follow beautiful trails (also with their own ruins) that lead toward Machu Picchu. 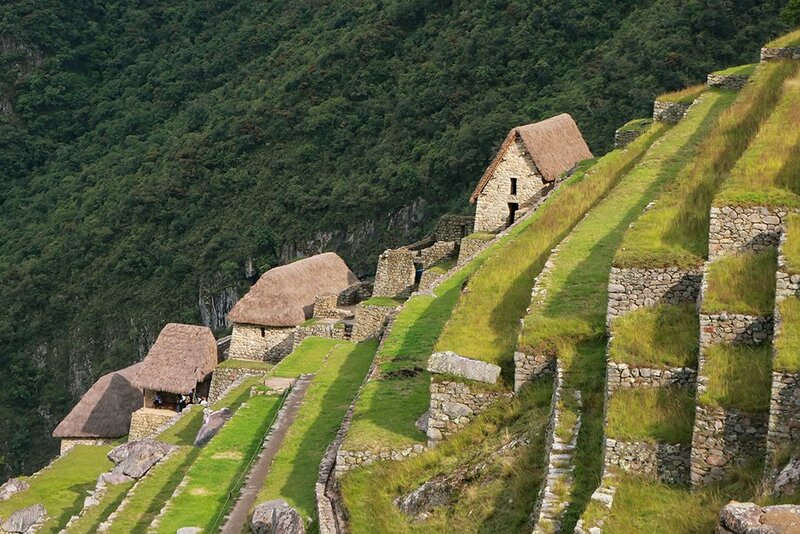 However, these treks do not enter Machu Picchu through the Sun Gate. 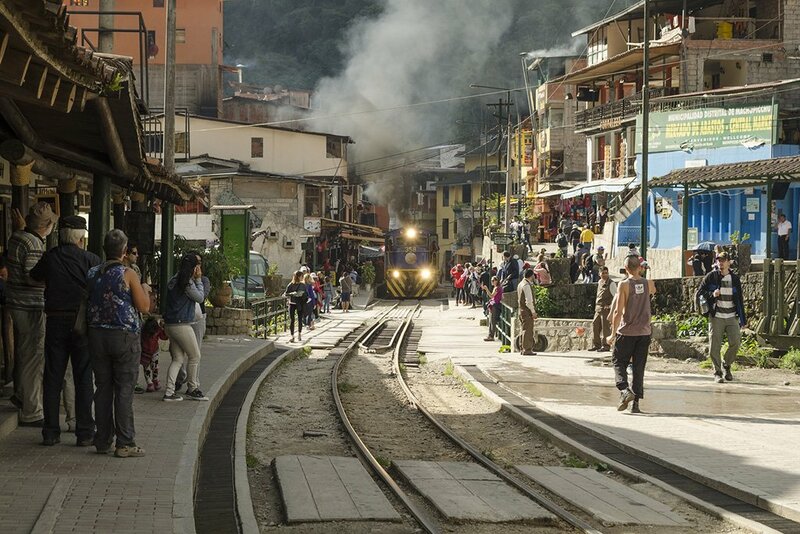 Instead, they’ll end in Aguas Calientes, the village at the base of Machu Picchu, from where you’ll join a guided tour of the ruins the following day. Because Peru is in the Southern Hemisphere, the seasons are reversed from what Americans and Europeans are used to. This means that July and August will be relatively mild (and at night, can get quite cold) while winter, the rainy season, will be hot and humid. For more details around when to plan your trip, here’s a complete overview of the best time to visit Peru. 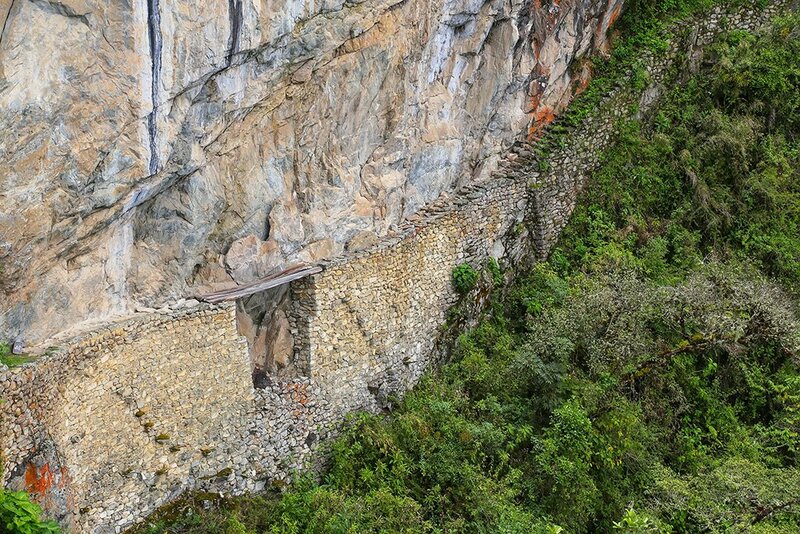 Keep in mind: the Inca Trail closes for maintenance in February every year (the peak of the rainy season). Highly recommended. The best time to hike the Inca Trail is late Spring (May) or early Autumn (October) when the trail is less crowded yet you have a high chance of getting the great weather which marks the more popular, summer months. When most people hike the Inca Trail. You’ll likely have great weather, but be prepared for crowds given it will be summer vacation in the northern hemisphere. The rainy season in the Andes, which lasts from November to April. The Inca Trail is still open (apart from February) but trail conditions are less ideal. Cusco is the nearest city with domestic and international flights and serves as the starting point for all excursions to the Inca Trail and the Sacred Valley. It’s worth spending 2-3 days exploring Cusco and it’s rich history and Inca architecture, many buildings of which are still intact. Arriving internationally, most flights will have to connect through Lima’s Jorge Chávez International Airport before connecting via a domestic flight to Cusco. 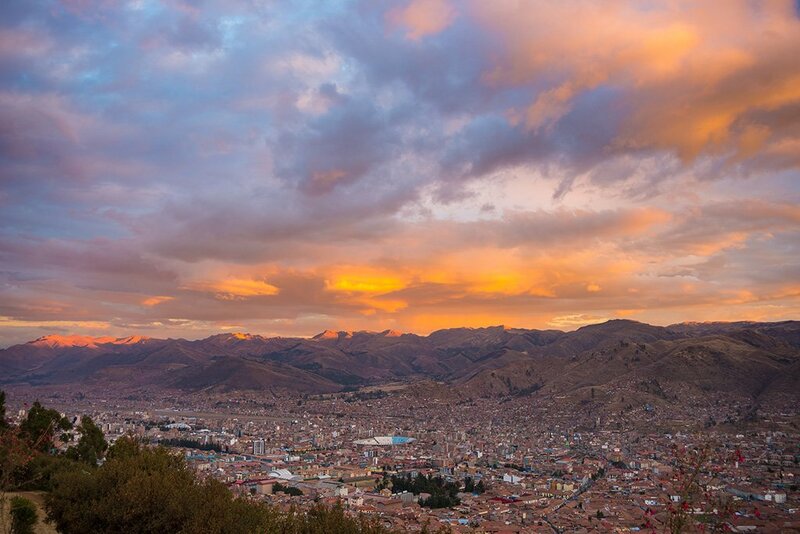 If you are flying into Peru from countries in South America, however, it’s worth checking if there is a direct flight to Cusco if you’re short on time. Also, it’s always good to build in some buffer time in case flights are canceled or delayed. Alternatively, you can take a bus from Lima to Cusco, but the journey is long and can take up to a day. Given the cheap price of flights, we highly recommend flying. 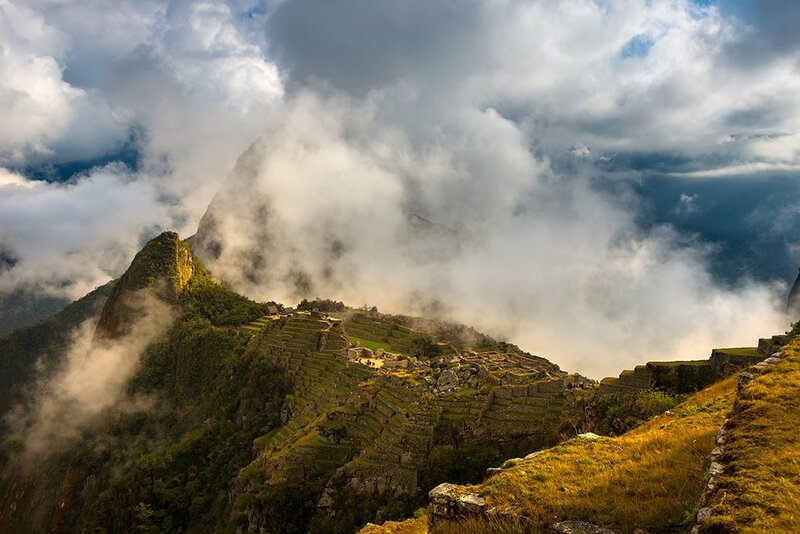 For those with little or no trekking experience, expect hiking the Inca Trail to be a challenge. Ascending almost 1,220m (4,000ft) uphill and a similar distance downhill puts a great deal of strain on the knees. Steep climbs can last up to two hours straight, and rest can feel hard to come by at times. Besides the physical demands of the trek, the altitude must also be considered. With the highest point on the trail at 4,200m (13,860ft) above sea level, altitude sickness can kick in and lead to headaches, fatigue, and to feeling out of breath. That being said, the altitude shouldn’t be an issue for most people given you’ll follow a safe acclimatization schedule outlined by your guide. It’s a good idea to prepare for the trek in the weeks leading up to your trip by going on daily walks, preferably with hills. This is also a great chance to break in your hiking boots, as well. Spending a couple days in Cusco to acclimatize before starting the trek is also highly recommended. Age-wise, we’ve seen children as young as six years old complete the trek, as well as people in their 80s. It really all depends on your fitness, experience, and determination! Weather in the Andes can be varied and unpredictable. As with all mountains climates, we recommend bringing layers so you can easily put on a waterproof shell when it’s cold or layer down to a T-shirt when it’s hot. Evenings, however, are a different story. Temperatures can dip below freezing, especially deep into the night, so make sure you bring a warm sleeping bag for camping. In cold weather, thermal underwear, gloves, a scarf, and a hat are ideal. Keep all necessities (water bottle, camera, sunscreen, bug spray, jackets) with you at all times in a backpack, and leave everything you don’t need while hiking (camping gear and other heavy loads) to the porters. Porters will have large bags where you can stow up to 6-8 kg per person (per regulation). If you have any luggage you wish to leave behind, you can leave it at your hotel at Cusco.